Taishan is a county-sized city located in Jiangmen Prefecture in the southwestern region of Guangdong Province, China. The name often causes confusion because of Tai Shan (Mount Tai) which is located in the Shandong Province and not in Guangdong. Taishan City is known as the 1st home of the overseas Chinese because nearly 1.3 million overseas Chinese coming from 80 different countries have settled. This is greater than its local population of 1 million. As a consequence, Taishan City is a modern urban area with a strong Western influence, although the classic Chinese customs and traditions are still followed by the people. 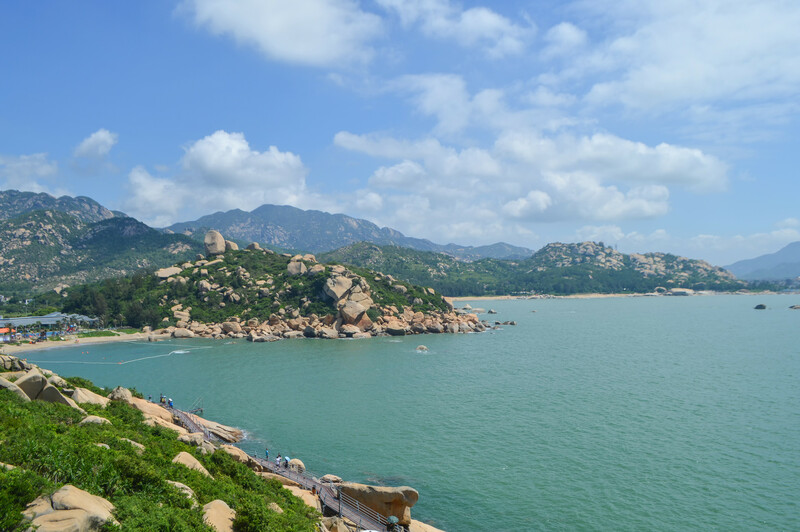 Being on the Pearl River Delta Taishan City consists of 95 islands and small islets, of which some have become very popular seaside holiday resorts. In Mandarin, the word “shan” means mountain, and Taishan City is named so because almost every village within the city’s precinct has a picturesque hill as a backdrop. The ancestral graves are usually located on or near the hills. Every village becomes a hive of activity during the “Tomb Sweeping Festival” month. It is the ancient practice of giving offerings to ancestors after the Chinese New Year which is still followed. The graves of ancestors are decorated with flowers. Paper money is burnt and firecrackers are burst as part of the ceremonies. Later, there is a feast of roast meats (usually goose or pork) and cakes which is attended even by overseas Taishanese people. The modern Taishan City is a beach-lovers paradise. The climate is very mild and temperatures range between 18oC in winter and 32oC in summer. The clean beaches, warm sea waters, and water sports activities attract tourists to the city in large numbers throughout the year. Being a popular holiday destination, Taishan City has a wide range of hotels. 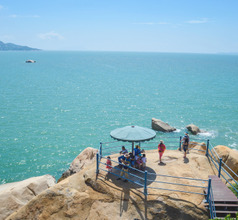 There are 4 and 5-star beach resorts in many parts of the city and especially in the Naqin Geological Ocean Park and Beifeng Mountain areas. The city also has several mid-range hotels and low-priced guesthouses to cater to budget travelers. 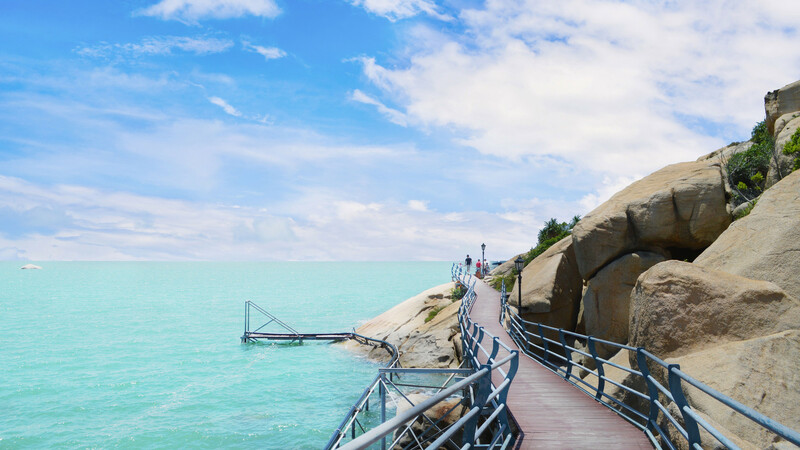 The upscale resorts provide a fantastic view of the ocean and the white sandy beaches, hence, are a popular choice of domestic and overseas tourists. The hotels provide countless amenities to ensure that the guests have a comfortable and enjoyable visit. 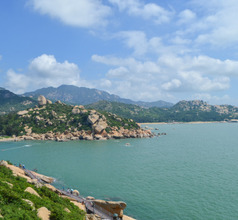 The Xiachuan Island (also called Ha Chee-un) is a popular summer vacation destination in the Taishan City region. 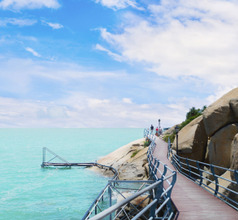 Although not very large in size, this township is a popular beach with modern amenities. Tourists can indulge in several exciting marine sports along the beach like jet-ski, parasailing, scuba diving, surfing, etc. Shangchuan Island is a larger version of Xiachuan Island and offers the same marine sports activities. It has the added attraction of having a beautiful golf course. The Mei Grand Courtyard is a marvelous mansion built in the 1930s. This 3-storied house has the typical Chinese architecture and aesthetically landscaped gardens. The house has been used in several Hong Kong film shootings and many of the props used in the movies are still in place. 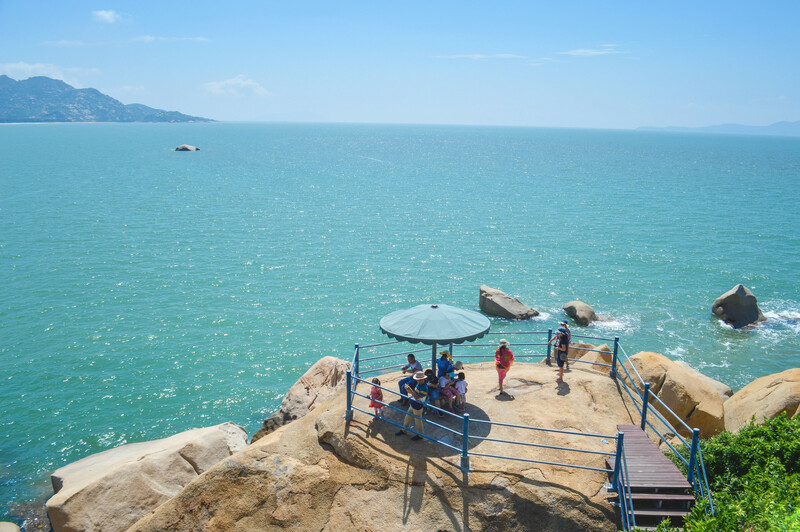 On the outskirts of Taishan City is a family-favorite tourist attraction. Known as Shi Hua Shan, Shek Fa Saan, or Stone Flower Mountain, it is a small hill that can be climbed easily and has beautiful greenery. At the foothills is a picturesque lake and a children’s park. Taishan City is dotted with hot spring spas and massage parlors for those who want to enjoy a relaxed vacation. After an exciting time indulging in marine sports and sightseeing, a relaxing massage at one of the spas will be a sublime experience. Taishanese cuisine is famous for its strong flavors and artistic presentation. Overseas Taishanese people have added their own ideas from different parts of the world. Therefore, Taishanese cuisine is a flavorful blend of Cantonese and Western styles. Their dishes often use ingredients like eels, pork, gourd, crabs, salted and dried fish, shrimp paste, and oyster sauce in their dishes. The food on the Shangchuan and Xiachuan Islands is relatively expensive. So those who are making only a day’s trip to either of the islands usually carry a packed picnic for the day. Some of the local specialties are steamed fish with ginger, dim sum (steamed or deep-fried dumplings), steamed oysters with garlic and ginger paste, Cantonese porridge, chicken in white sauce, and Youtiao (stick-shaped deep-fried doughnut).